Reach Out Online First - Many networking events will have Twitter chats and Facebook groups that not only encourages people to attend the event but to get to know each other beforehand. 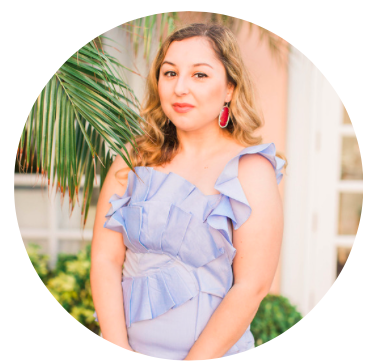 When I attended HerCampus.com's Her Conference last summer, I posted on the Facebook group page to see which bloggers would be attending and was able to form connections easily. The best part was on the day of the conference I was able to meet all those people that I talked to which made the event so much more exciting. Set Some Goals - What do you want out of the networking event? Do you want to give out at least 10 of your business cards? Meet at least 5 fashion bloggers? I find that I'm more motivated to talk and approach people when I have a specific goal in mind. Engage In One-On-One Conversations - Group conversations can be a bit too fast paced and intimidating for us so start by talking with one person at a time. You'll find that you have more productive conversations and form a better relationship while not feeling as drained. The More Interesting The Conversation, The Better - I swear nothing is more exhausting than small talk. It just feels so fake and pointless, you know what I mean? Steer clear from conversations about the weather by showing a genuine interest in the person. Ask questions like "So why did you become a blogger?" or even make a joke about how much you hate small talk! Trust me, people are looking to have an interesting conversation just as much as you are at these events. Take a Quick Break - Networking events typically last the whole day and sometimes you just need a second to yourself. I usually go to the bathroom and freshen up (of course there's always a long line and I end up having the most interesting conversations with people while waiting!) or I'll grab a drink and check my phone at a quiet place like the lobby. Having those few minutes to myself helps me to come back stronger. Thanks for reading and I hope these tips helped! I know that at times being an introvert may seem like the most annoying thing in the world. I remember feeling as if there was something wrong with me and that I have to be more talkative, more funny, more energetic but the truth is there's nothing wrong with being an introvert. It's just the way we are! 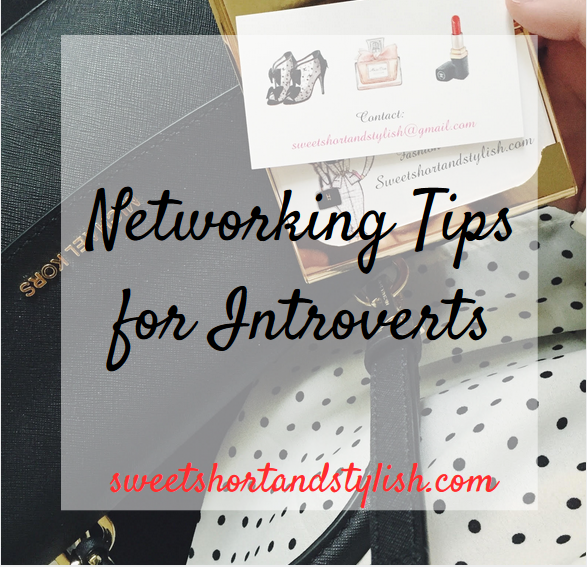 You can be a successful blogger and still be introverted.